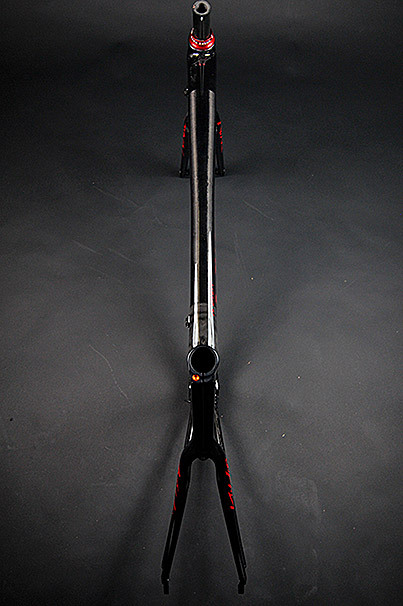 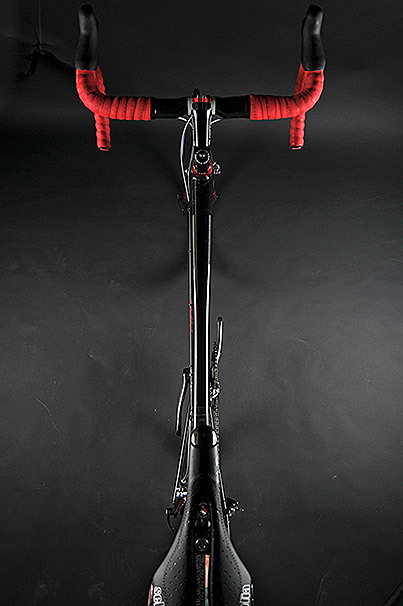 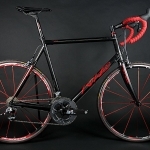 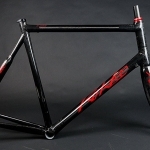 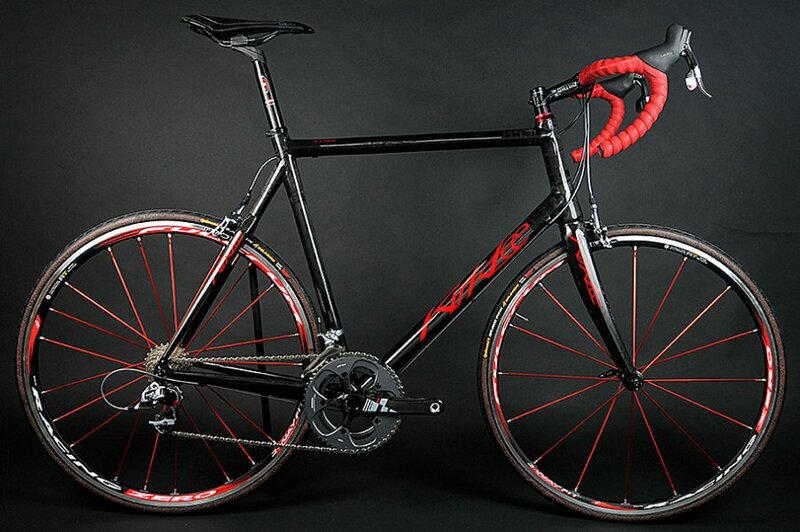 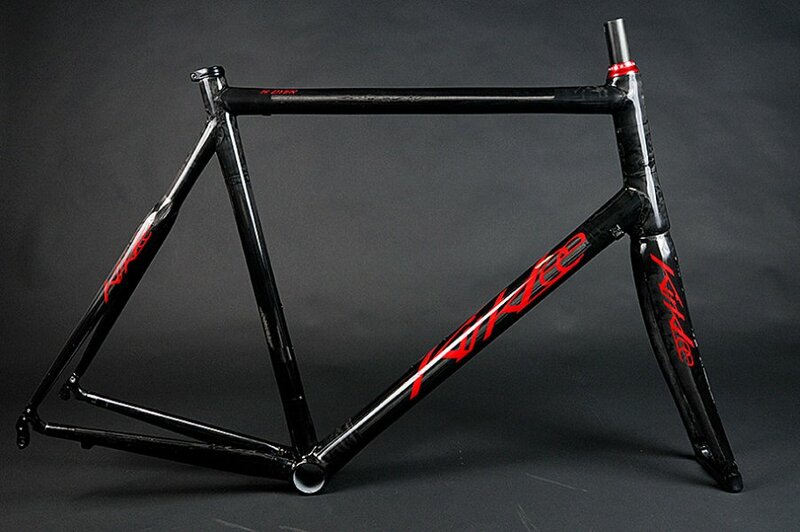 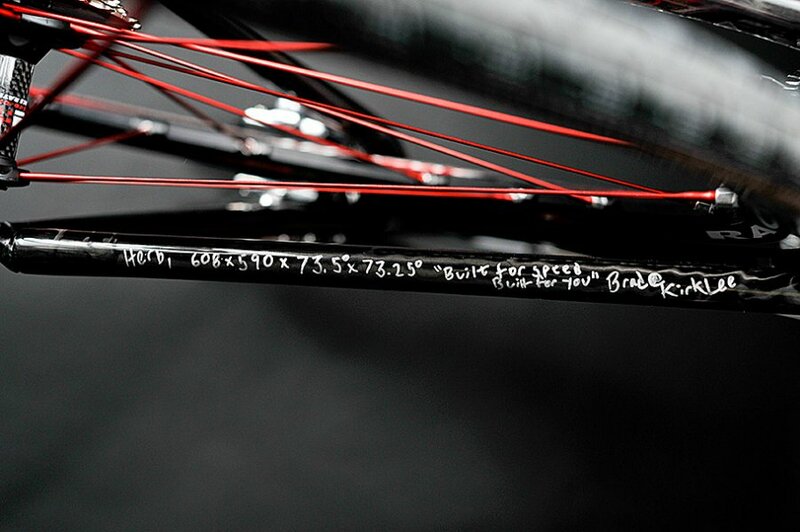 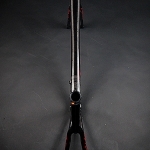 A custom bike fit from Durata Training led to a large frame with a 225mm 1.5” tapered head tube, 590mm top tube and a 608mm seat tube that connects to a Press Fit 30 bottom bracket. 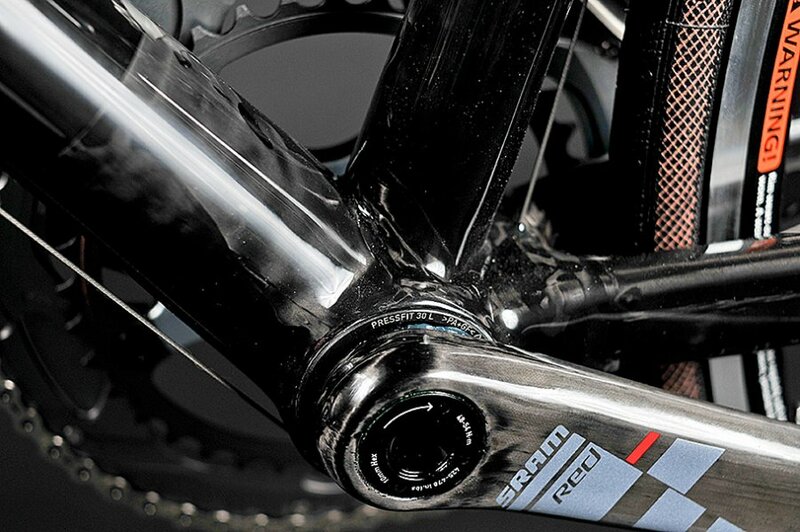 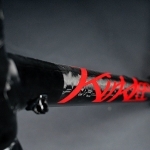 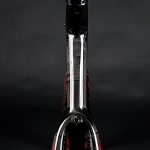 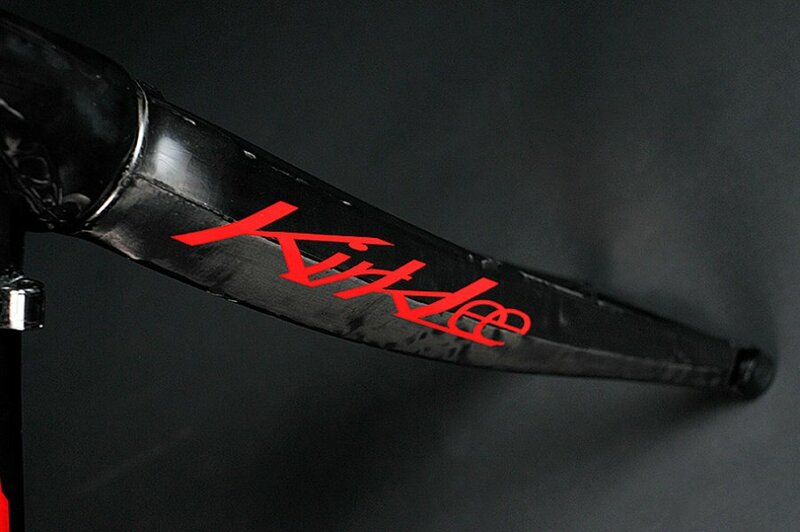 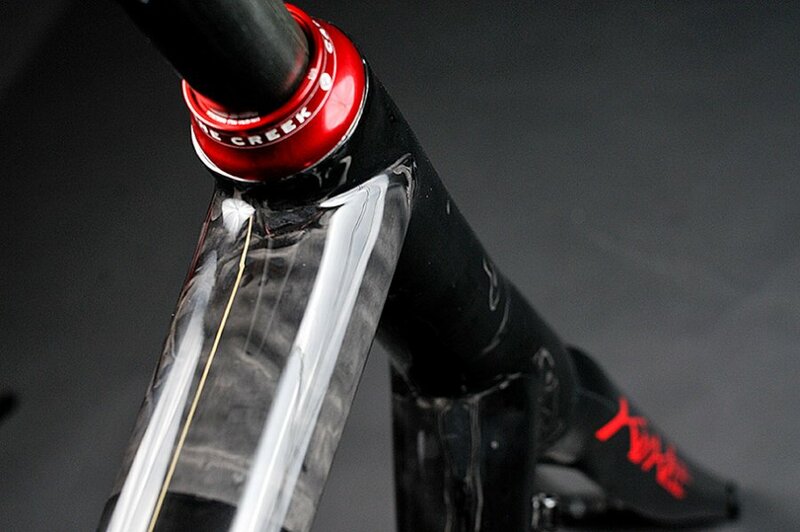 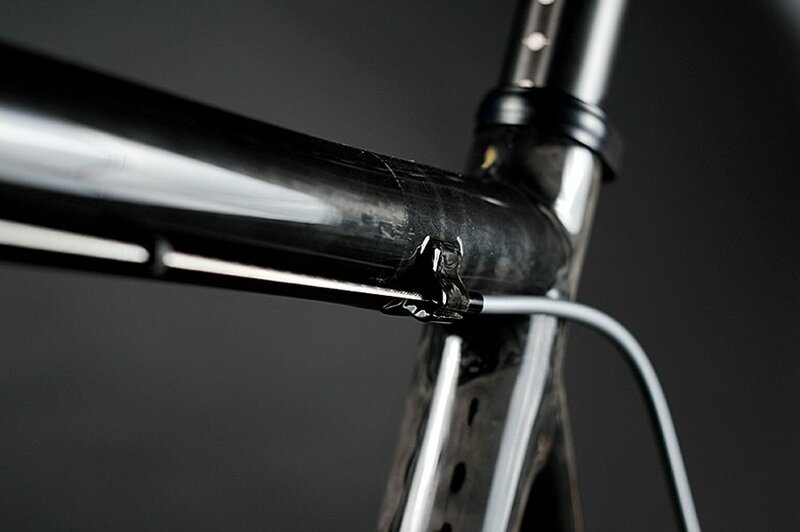 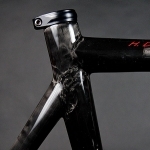 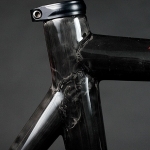 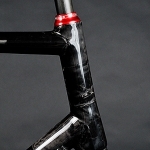 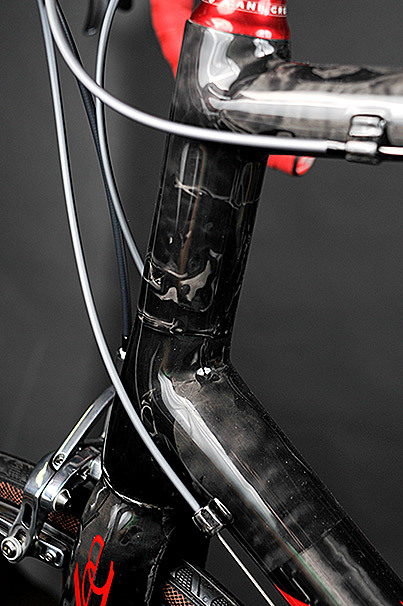 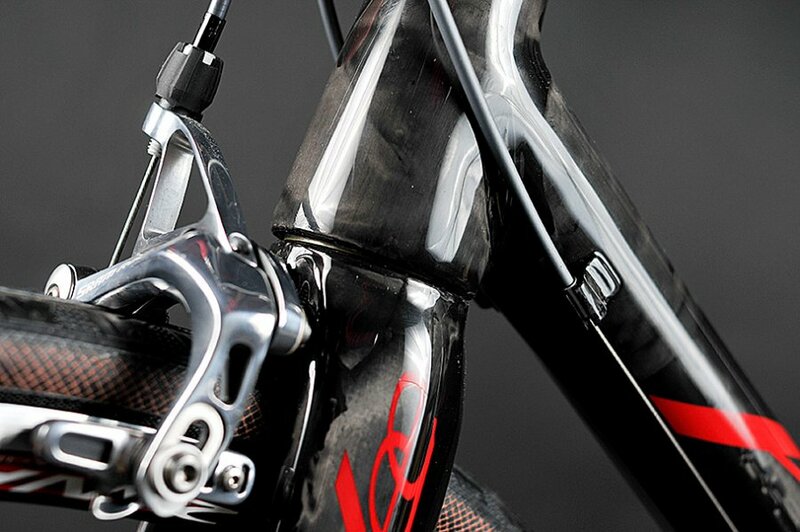 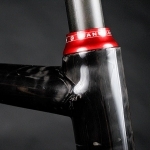 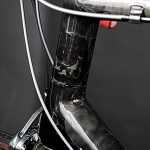 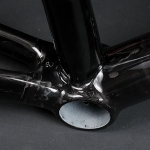 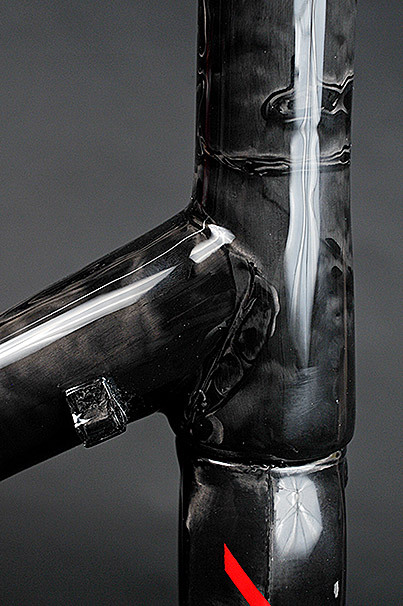 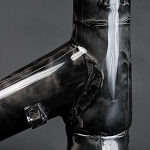 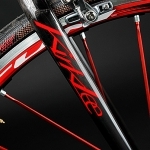 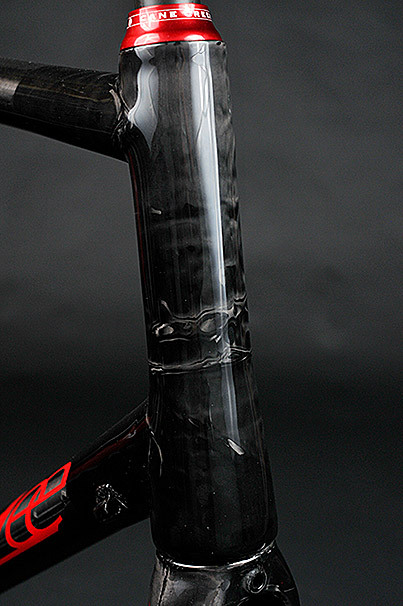 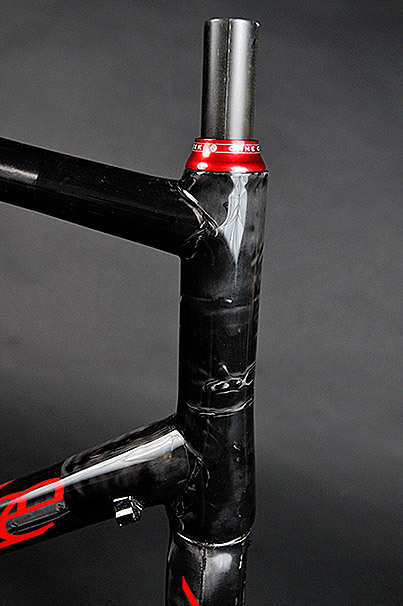 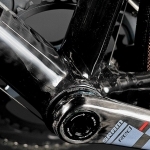 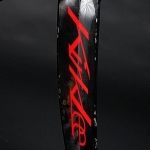 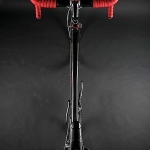 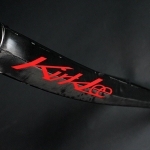 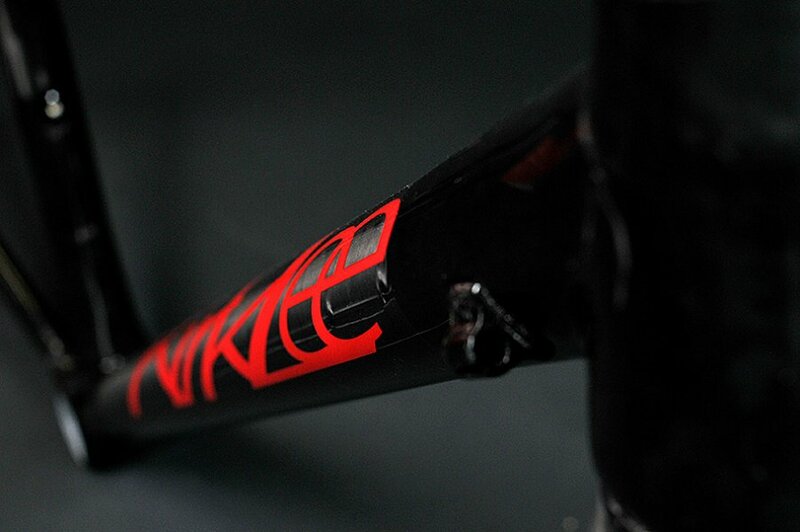 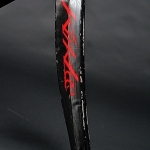 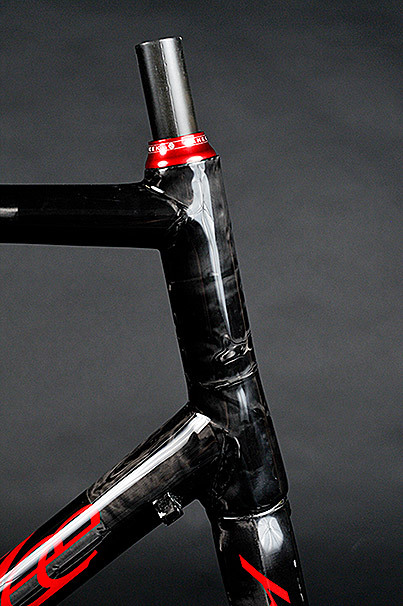 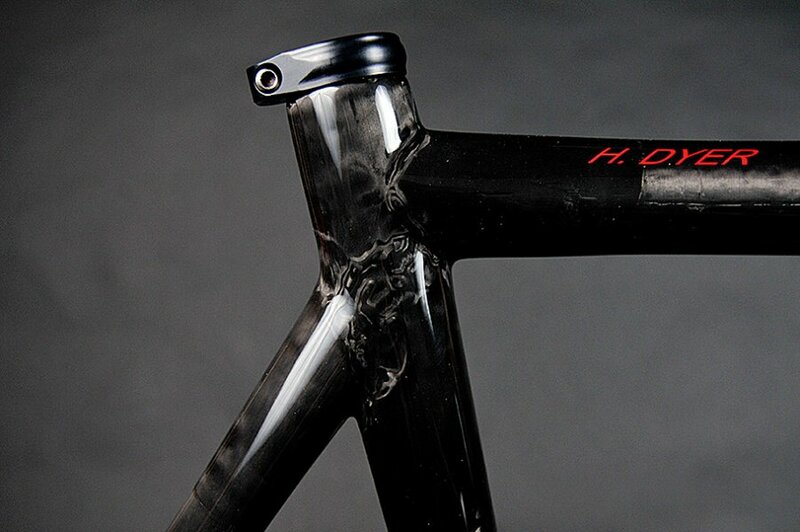 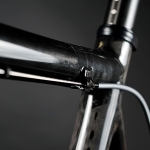 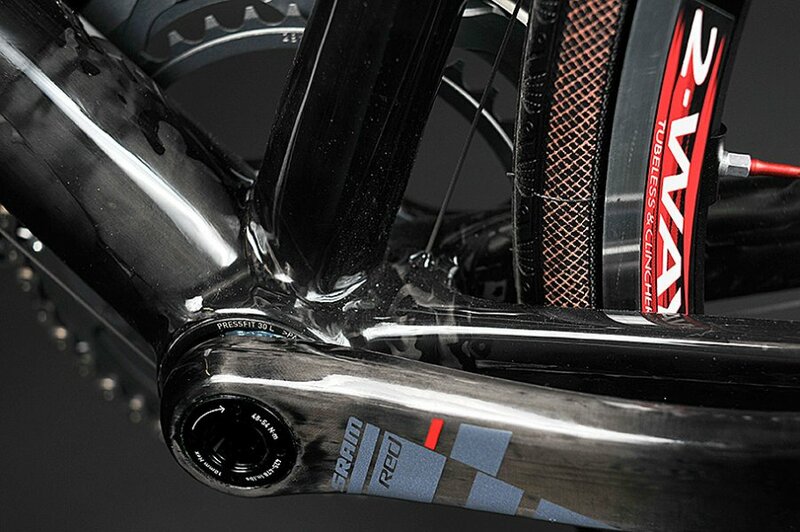 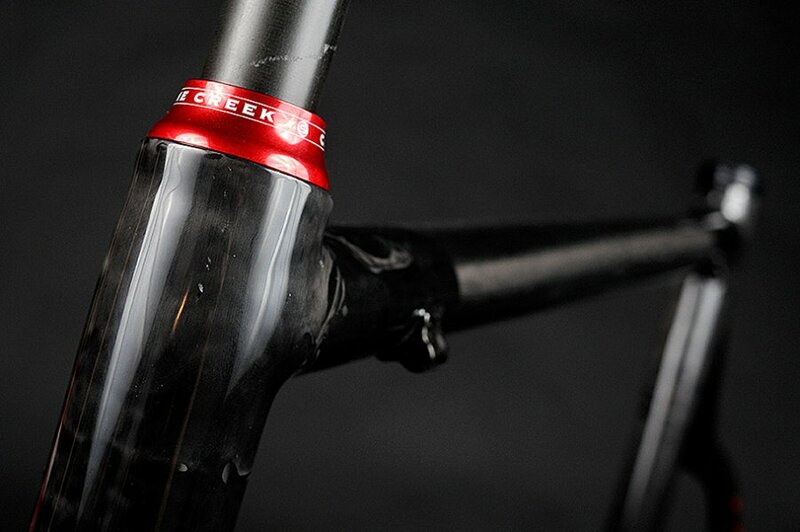 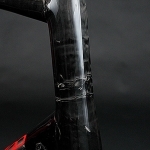 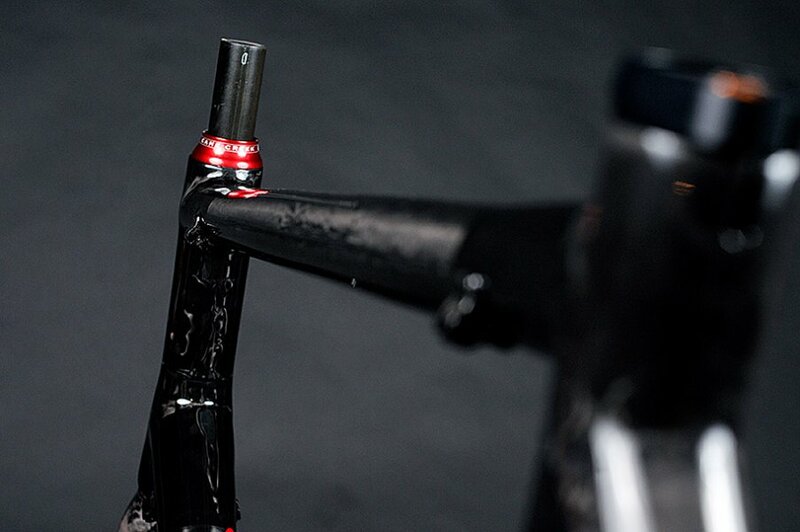 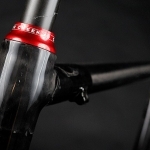 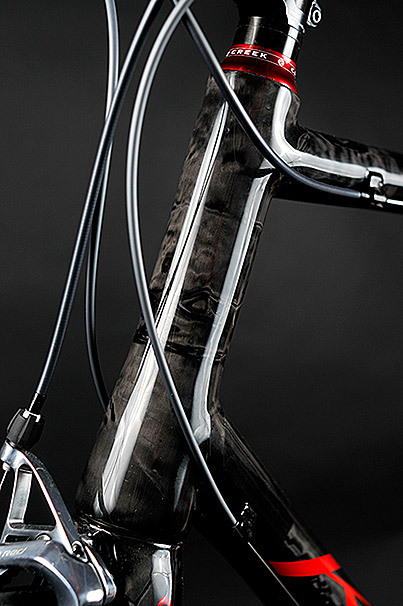 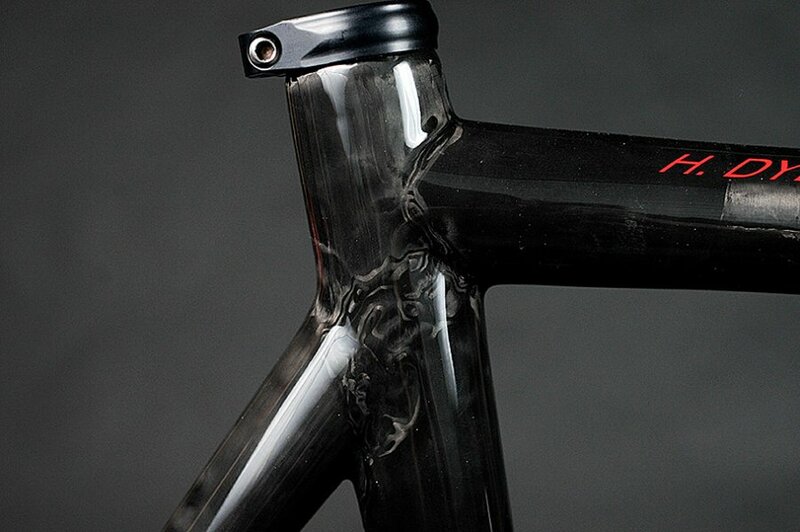 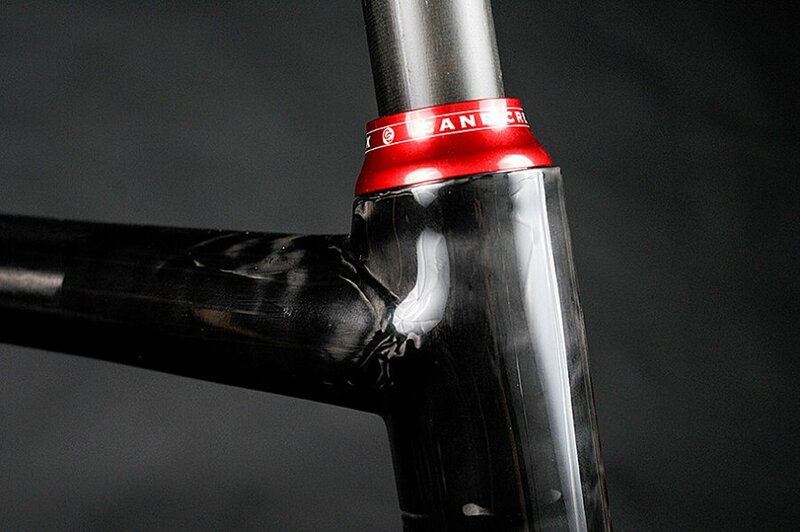 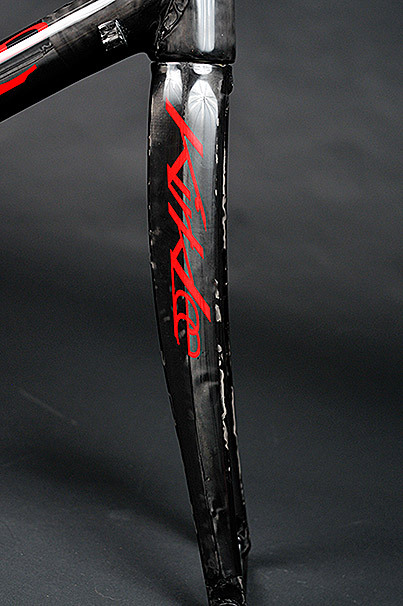 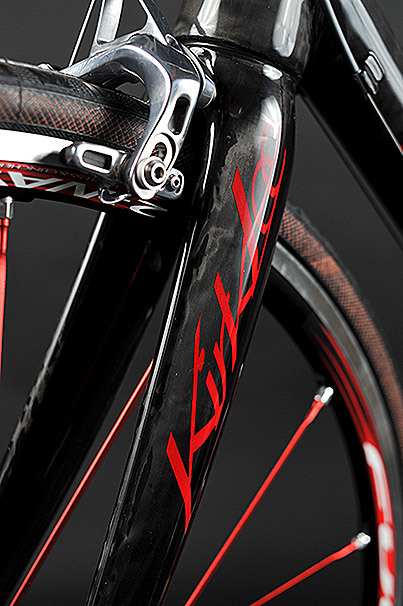 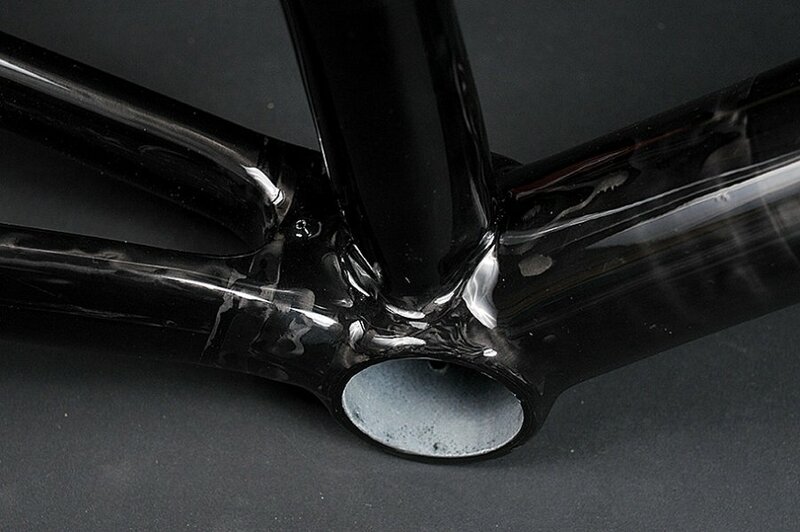 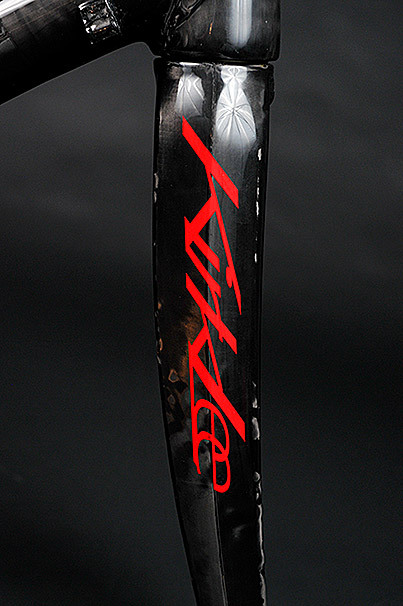 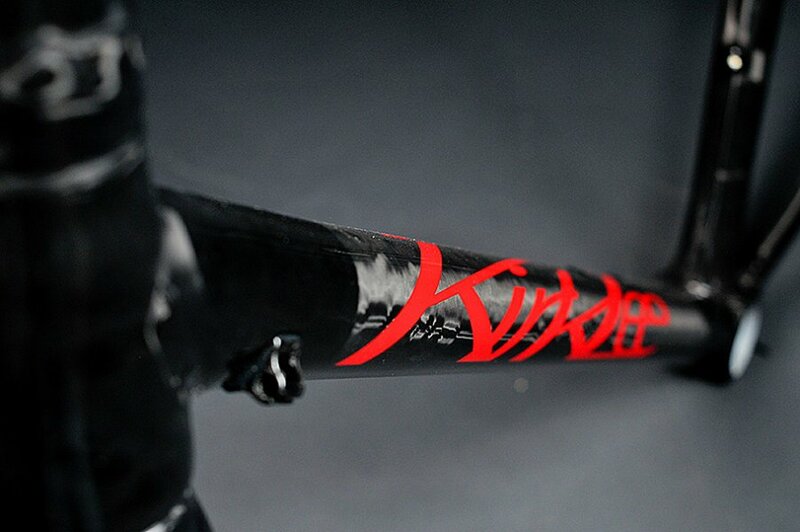 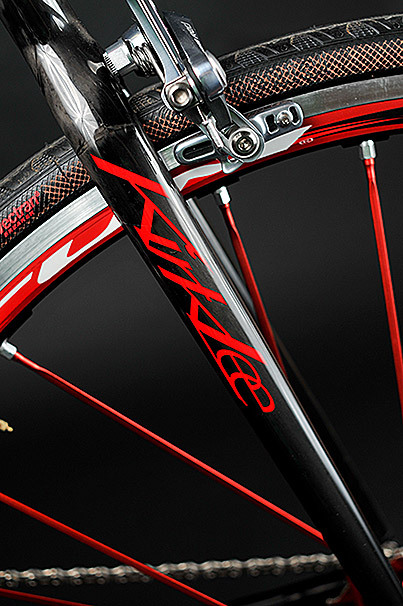 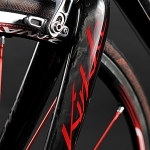 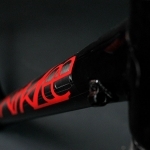 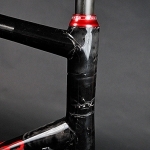 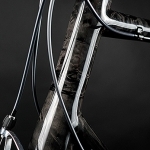 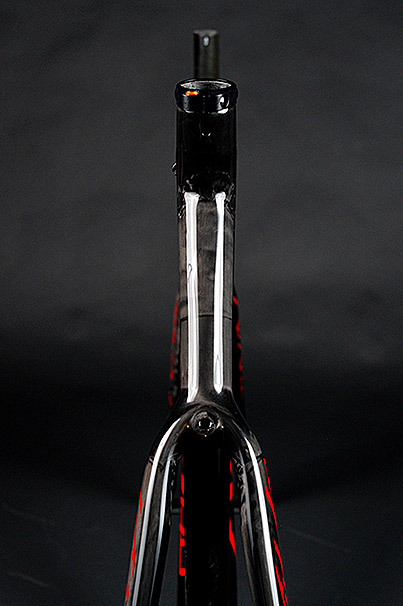 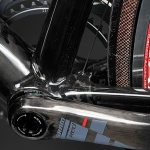 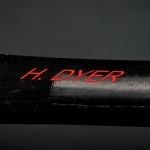 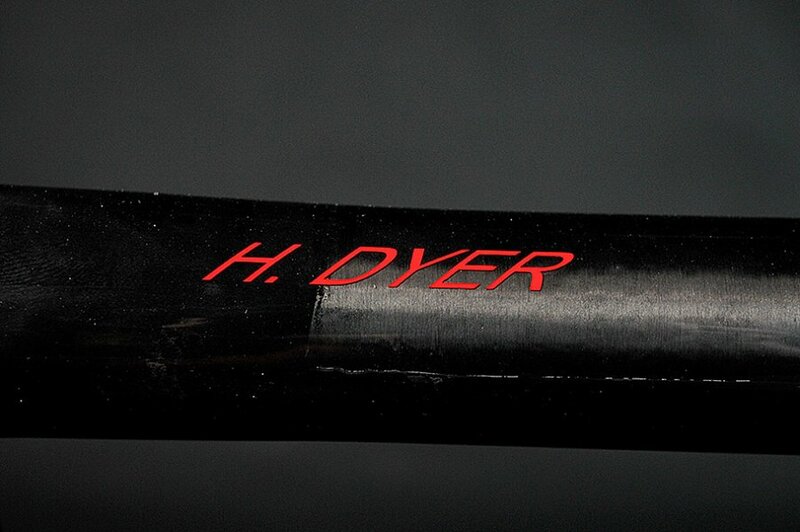 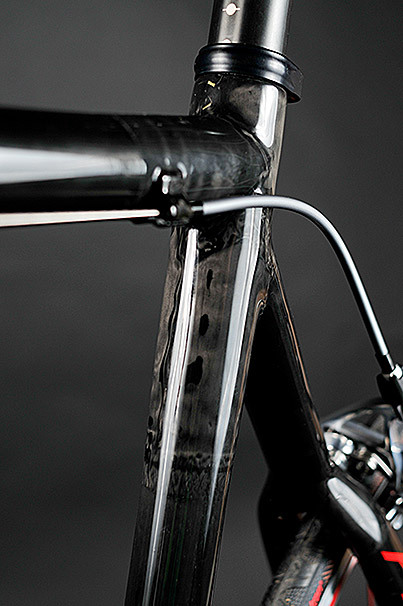 Maximum stiffness was our goal and this is reflected in the tube and joint layups, while the seat tube is externally butted to save weight where it is not needed. 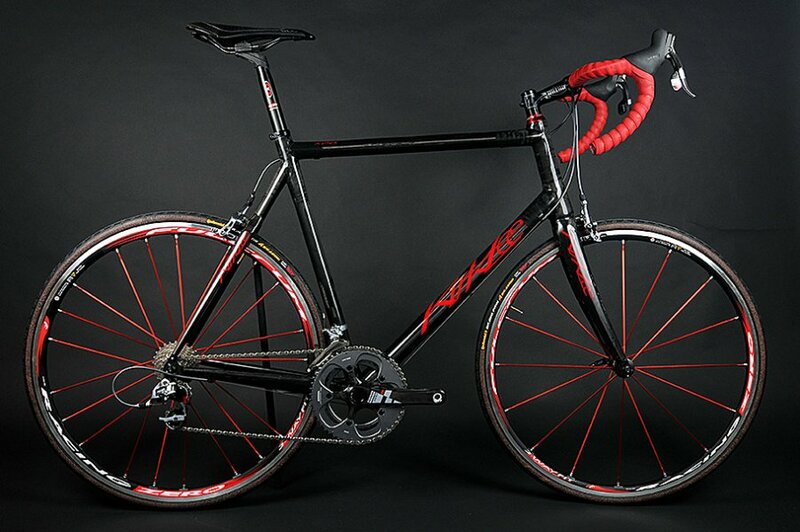 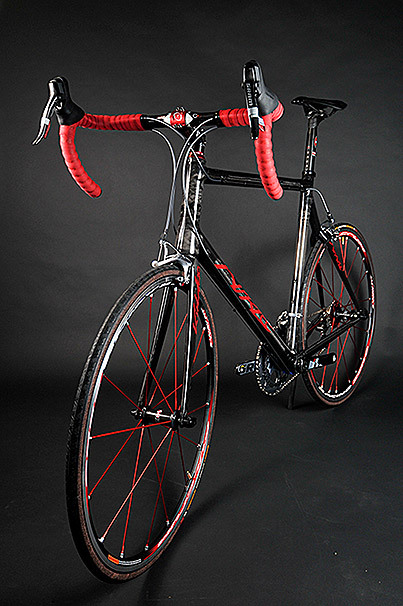 After riding, its new owner says, “this frame is like a light switch, I can turn it off and sit in the pack or turn it on and attack anytime, anywhere—Amazing!” The build weight ready to ride with SRAM Red, and Fulcrum wheels and Dura Ace pedals and bottle cages is 15.7 lbs.